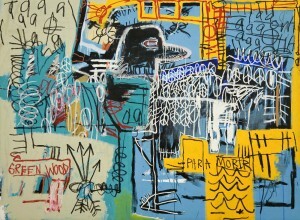 Jean-Michel Basquiat, Bird On Money, 1981. Acrylic and oil on canvas, 66 x 90 inches. When: Opens Saturday and runs through Feb. 12. Where: Corcoran Gallery of Art, 500 17th St. NW. Cost: Free for children under 12, $8 for seniors and students and $10 for adults. Why you should go: Although the exhibition isn’t free, it’s definitely worth the cost. The 30 Americans exhibit showcases art from the most important African American artists of the past 30 years. Works by Jean-Michel Basquiat, David Hammons and Kehinde Wiley will be on display, and much of the art focuses on racial, historical and sexual identity. Other events to consider: Learn more about Turkish culture at the Turkish Festival. The free event features food, dance performances and crafts. It takes place 11 a.m. to 7 p.m. at Freedom Plaza.